On September 26, 2016, a Christian couple from Nilka County, Yili city in Xinjiang Uyghur Autonomous Region, was arrested by the police of Chinese Communist Party (CCP) and later sent to prison to serve long sentences while their family members continue to suffer harassment and intimidation from authorities. At about 10 p.m. on September 26, seven officers from the Nilka County, No. 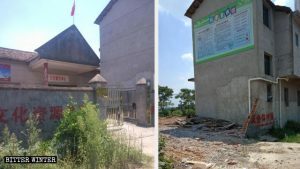 79 Regiment, and Ulastay Township police stations charged into the home of Yang Fan, 44, who was a house church preacher responsible for church work in three counties, and her husband, Li Zhong, 41, and (both pseudonyms). The police said that they had received a tip-off that the couple was holding a religious gathering. “In China, believing in God and holding gatherings are illegal. You’re coming with us!” The police then arrested the couple and took them to the Nilka police station without showing any documents. 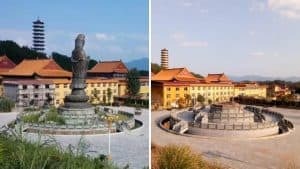 The group of officers who stayed behind in their home rifled through all their belongings, taking with them a Bible and other religious literature as well as valuable items they found, including a bracelet worth over 2,000 RMB. The couples 8-year-old daughter was so scared that she started to cry, and Li Zhong’s elderly parents were in shock, not knowing what to do. 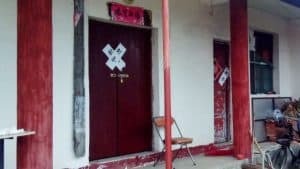 Li Zhong was sent to the Nilka County detention center and Yang Fan – to the Women’s education base of the Yili Gongliu County detention center. On April 20, 2017, the Nilka County Court sentenced Li Zhong to four years and Yang Fan to six years; both were sent to prisons to serve their sentences, where they are still imprisoned. On October 19, five people, including the No. 79 Regiment factory cadres and the instructor and commander of Agricultural No. 4 Company, went to Li Zhong’s mother’s home and took photos of the house without permission. 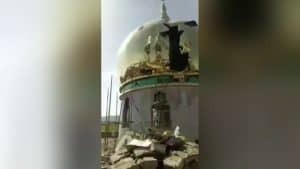 They threatened his parents, “The government has issued a decree to look for and arrest religious people. We have to arrest believers, particularly, people in house churches. 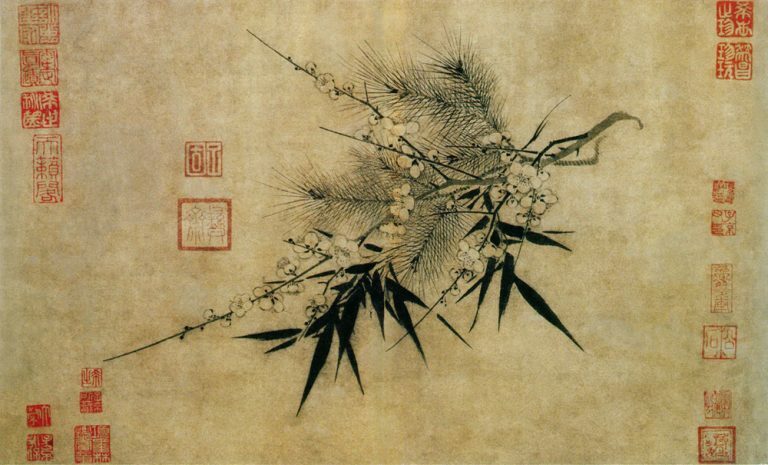 Believing in God is believing in xie jiao, and it is disrupting social order. A day without apprehending a believer is a day the country cannot be at peace! Your daughter-in-law is a serious offender. If you continue to believe in God or spread the Gospel, your entire family’s residence permits will be revoked, and we’ll run you out of town. No matter how old you may be, we’ll still take your house and stop your pension payments. After your daughter-in-law has served her time, she won’t be allowed to enter your home and will be kicked out right away. Do you hear me?” Li Zhong’s mother tried to argue saying that the government guaranteed the freedom of belief. One of the officers, Mr. Song, yelled back that the freedom of belief was just a show for foreigners. “The Communist Party doesn’t allow religious beliefs. If you want to stay alive, you have to listen to the Party. From now on, people will be dispatched to watch your family’s every move, and they’ll be visiting you frequently to check in on you.” House churches are normally not listed as xie jiao(heterodox), though with the increasing crackdown on religious liberties in China, authorities often use the laws against xie jiao to persecute Christians who, in fact, do not belong to outlawed religious movements. Hardly a few days later, one of the Li family members accidentally discovered a surveillance device on an electrical pole across from their home’s courtyard. Before long, the Agricultural No. 4 Company commander and accountant went to stay at their home under the guise of the “home-stay” campaign so that they could keep an eye on them. “Home-stay” is a policy implemented by the CCP government in Xinjiang to supposedly prevent religious extremism, mostly targeting Muslim families, when State employees or Party cadres are made to live in homes to monitor all aspects of families’ lives, for the stated purpose of maintaining ethnic unity. Having witnessed her parents’ violent arrest and suffering from continuous CCP government’s intimidation and threats, Li Zhong’s young daughter became quiet and withdrawn. Li Zhong’s mother often suffered from nervous breakdowns: just the sound of a car or a dog barking would frighten her, and her heart would leap into her throat just from the clanging of their home’s iron gate in the wind. She said, “If it weren’t for my granddaughter, I would have sought death a long time ago.” The entire burden of the home has fallen on Li Zhong’s parents’ shoulders. His father is now a hunched-over old man, over 90-years-old, but he still has to work in the farm and at home and takes care of the child. 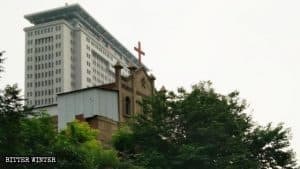 The CCP government’s persecution has brought this Christian family a calamity without an end.